Sign up today and get up to 20,000 Aventura Points: a welcome bonus of 15,000 Aventura Points when you make your first purchase and an additional bonus of 5,000 Aventura Points if you have at least $1,000 in net purchases during the first 4 monthly statement periods. That's a value of up to $400 when redeemed for airfare purchases. Also receive a $120 travel credit. 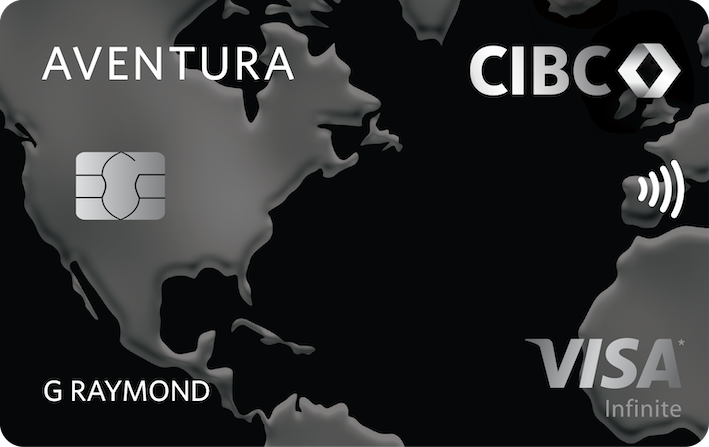 The $120 travel credit can be used in a single transaction towards flight, hotel, car rental and vacation package bookings made using your CIBC Aventura Visa Infinite or CIBC Aventura Gold Visa Card and towards taxes and fees.